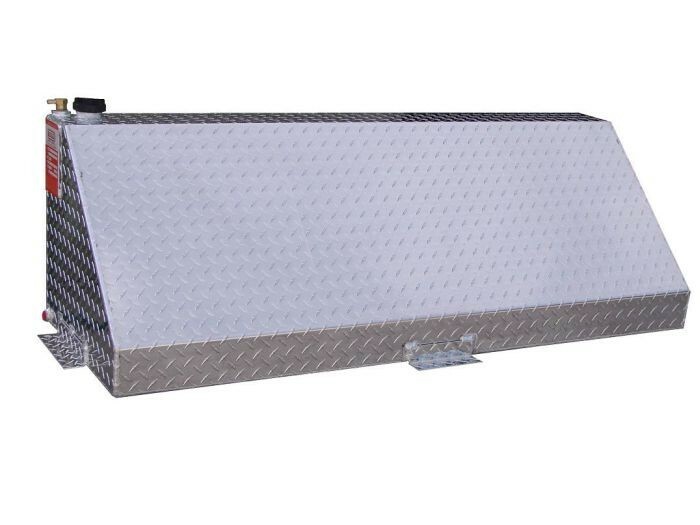 ATI TTW60 DOT Certified Wedge Refueling Tank is an ideal choice for flat beds and pickups with a 5th wheel. Can be used for diesel, gasoline. ATI AUX60W Wedge Style Aluminum Auxiliary Fuel Tank is an ideal choice for flat beds and pickups with a 5th wheel. The tank slopes at a 45 degree angle on the tailgate side of the fuel tank for easy viewing and 5th wheel clearance.